Congratulations to the Illinois librarians and academic professionals publishing in Spring of 2015! The past several months saw book and article publications on library assessment, less commonly taught language collections, grey literature, loaning technology, and more. The following publications have been submitted to the blog. Significant research publications from those listed below are also added to the Major Publications by Library Faculty Database. Spring 2015 saw Illinois librarians leading the discussion on topics as diverse as information literacy, comic books, and scholarly communication. In a previous post, you can find the Illinois librarians and academic professionals who presented at the 2015 Biennial Conference of the Association of College & Research Libraries in March 2015. Below are just some of the many other presentations they gave at conferences, special occasions, and more. 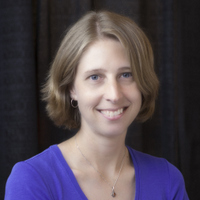 Sarah Williams, Life Sciences Data Services Librarian and Associate Professor, University Library, has been elected president of the United States Agricultural Information Network (USAIN). Founded in 1988, USAIN’s mission includes taking a leadership role in the formation of national information policy related to agriculture and making recommendations to the National Agricultural Library on agricultural information matters.